Rooibos, also called red bush, is grown only in the Cedarberg area and around the villages Clanwilliam and Citrusdal, which are situated to the north of Cape Town in South Africa. Rooibos tea is much appreciated because it does not contain caffeine, is low in tannins and contains a wide array of antioxidants. Because of this, Rooibos could play a role in combating several lifestyle diseases, boost the immune system and act as a cancer preventative. Rooibos is rich in many minerals including iron, calcium, potassium, copper, fluoride, manganese, zinc, magnesium and alpha hydroxy. The tea is a good-tasting beverage for infants, children, and adults, which is also safe in pregnancy and while breastfeeding. It is also used in cooking and baking. Infuse 1-4 tsp (5-20ml) dry leaf per 1 cup (230ml) of boiling water up to 3-6 times per day. Can be drunk hot or cold and with or without milk, sugar, or honey. Drinking it before bedtime can help with insomnia. Apply a strong, cooled brewed tea (see above) on the skin with a cotton ball. Allow the tea to dry on the skin and let it stand for 10 minutes before rinsing off. This helps to reduce skin irritation and inflammation for diaper rash, acne, eczema, skin rashes, sunburn, and skin disorders. Rooibos makes soothing poultice for tired eyes. Soak a small, clean towel in the tea and spread on the affected area of the skin and leave for 15 minutes before rinsing off. 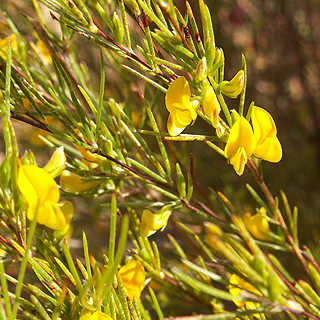 Rooibos leaves are harvested in summer, cut or chopped and are left to ferment.